One thing we love Rihanna for is that she represents her homeland of the Barbados. 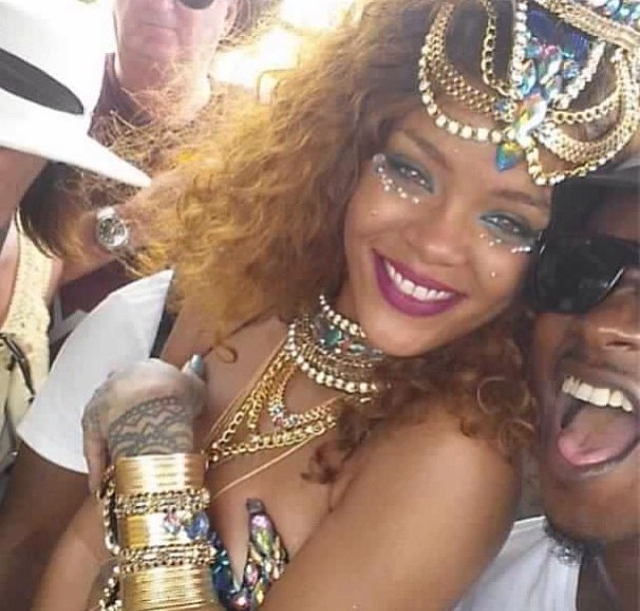 Rihanna always makes sure her schedule is clear to celebrate Barbados CropOver Carnival celebrations. Check out the pics as always she does no wrong. What’s in that cup RiRi?